WE ARE MAXED OUT! I AM NO LONGER ACCEPTING GUEST CONFIRMATIONS. PLEASE CONTACT ME TO BE PLACED ON OUR WAITING LIST AND I WILL CONTACT YOU IF WE RECEIVE A CANCELLATION. "The first thing I would like to do is THANK a friend, Cheryl Todd of Gun Freedom Radio for inviting me to SHOT SHOW's 2nd Annual Women's Meet & Mingle in Vegas, January 2017. This was a fantastic sponsored Meet and Mingle for females "in the firearms industry" and it got me thinking that I would LOVE to put together a Women's Meet & Mingle HERE in the Marietta, GA area. 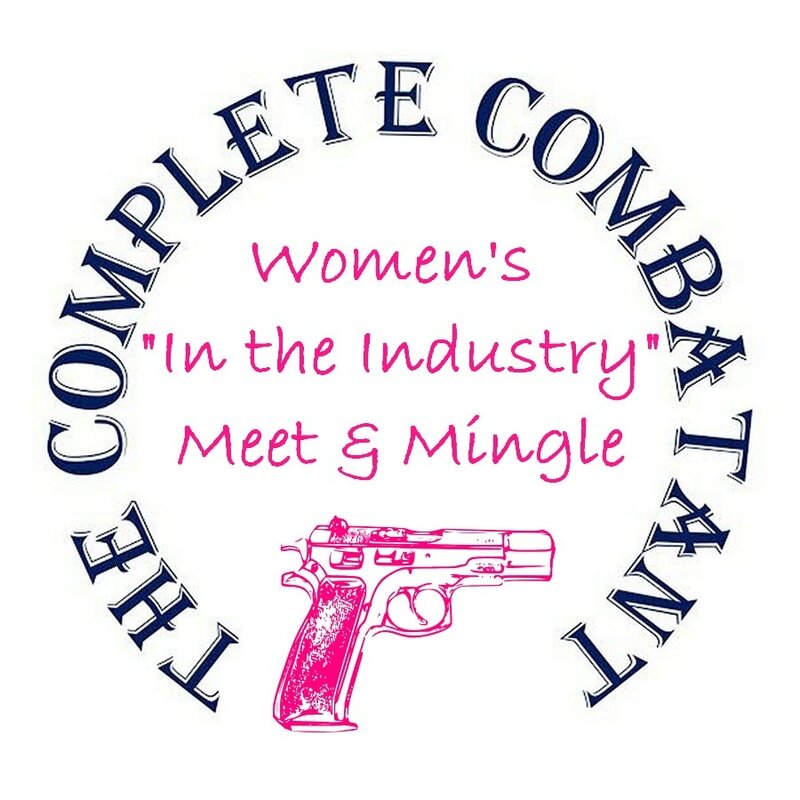 I am excited to announce that The Complete Combatant will host our FIRST sponsored VIP EVENT FOR WOMEN IN THE INDUSTRY called Women's Meet & Mingle in May 2017. This event will be a HIGHLIGHT of our guests year! Our sponsored VIP event will provide awesome horderves and wine at one of the TOP 10 RESTAURANTS in Johns Creek called Mari's Cucina and Social House. We will be lending a hand in helping women in the firearms industry meet MORE ladies in the biz. What a fantastic opportunity to be able to "pick the brains" of the ones that paved the path before us and meet ladies who offer NEW ideas. 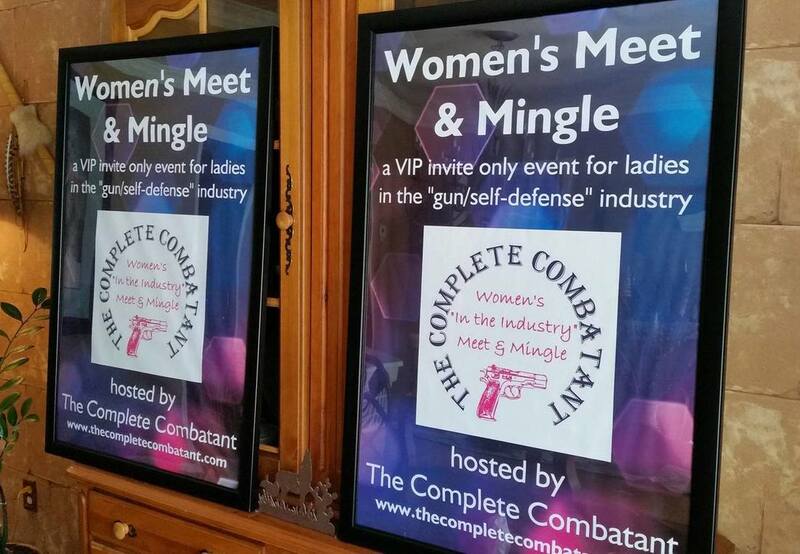 With the help of sponsors, The Complete Combatant will offer a place for women to meet "like minded" ladies and build relationships to support business, networking to expand contacts and to explore our own personal growth in business, tactics, self-defense, marksmanship, professions & MORE! Guys, I am new to this. I have only had my carry permit since 2011 and have been training as long (here is my bio). Now my husbands background is an entirely different story. Here is his bio if you are interested. 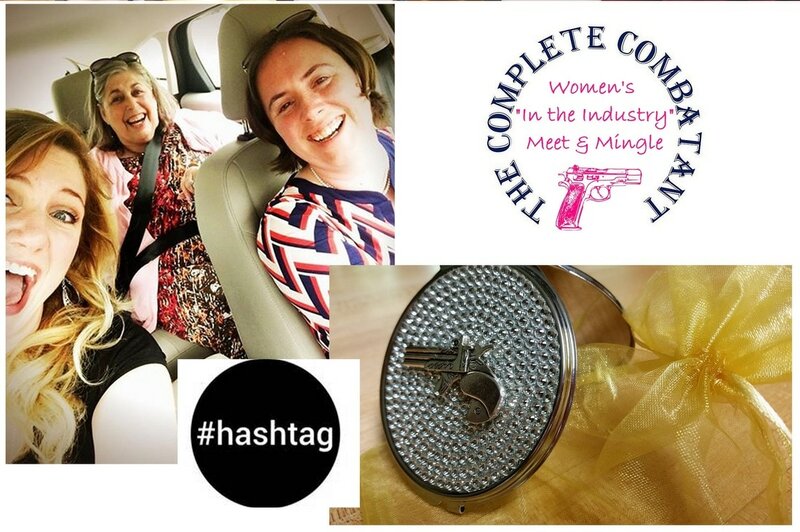 I have had the opportunity to have many experiences and meet many wonderful people in the "gun" industry since my adventure started in 2011 and I saw need...or maybe a want, to bring our "like minded" ladies together! My personal goal? I am reaching for BIGGER....a FULL weekend dedicated to professional ladies in the industry! Imagine the impact we could all make on the women's firearms/self defense community when we bring all the different levels TOGETHER for networking! Official event invites we emailed on 03-29-17 via TCC and Constant Contact so check your IN boxes and SPAM. If you would like to join us (and you meet our "guest requirements) then please fill out the "Add me to your INVITE LIST" below and I will email you an official invite. All confirmed guest can invite one (1) friend that will find this networking useful and she must be a "2nd Amendment" supporter! WHAT TO EXPECT: This is an INVITE ONLY VIP event for women in the industry. This is a 2 hour sponsored Women's Meet & Mingle with SWAG BAGS and door prizes! You can look forward to great food, wine (nonalcoholic beverage options) and FUN event locations. We want this window in your day to be a HIGHLIGHT of your year! GLOCK Public Relations and Communication Manager, Brandie Collins and GLOCK Commercial Sales Manager, Megan West will be our event GUEST SPEAKERS. Trust me, there are no long speeches and no hidden agendas. This is YOUR time to ask questions of your peers, meet new people and have FUN networking. You are 100% in control of your contacts and relationships. RSVP's are a MUST! WHO IS INVITED: We will be inviting females (local or otherwise) that work in the industry, biz owners (managers and team members), club presidents and board members, professional shooters, tactical and shooting instructors, IDPA competitors, ladies of influence in all aspects of the self defense/martial arts biz, and in the biz professionals that are 2nd Amendment political supporters. The Complete Combatant's Women's Meet & Greet events WILL NOT be open to the public and the guest guidelines would have to be met in order to attend. Please contact me if you are not sure if you would qualify as "in the industry". FEATURED CHARITY: Racheal's Rest - GLOCK is donating a Pistol Donation Letter (PDL) to our event. We will be selling raffle tickets at $25 per ticket or $100 for 5 tickets. A % of the proceeds will be donated to Racheal's Rest - CLICK HERE FOR DETAILS. Shelley Hill is the Executive Director and Secretary, and Brian Hill is a Board Member at Racheal's Rest. Racheal's Rest is a nonprofit organization that offers private counseling and five-day restorative retreat programs designed to address the physical, emotional and spiritual needs of survivors. They exist to help women and children who experienced sexual abuse or acts of violence regain their balance in life. We will place special "raise awareness cards" in our SWAG bags to introduce Racheal's Rest to our guests. HASHTAG Photo Contest: We ask that you uploaded your event photos to social media using #WM&M2017 by May 2st, 2017 8pm. We will make a decision on the BEST #WM&M photo and you will win a prize! CONGRATS to Beth R. Alcazar of USCCA! Posted to the left is a photo of her prize donated by Ammo Designs and of Beth and friends heading to the WM&M from Alabama....ROAD TRIP! JUST FYI: For the convenience of invitations, THANKING SPONSORS, event details and updates, The Complete Combatant has made a FB event page that will be specific to each Meet & Mingle event. We will also send emails with event announcements prior to each Meet & Mingle BUT I have NO INTENTION of a permanent Meet & Mingle FB page, a monthly newsletter, related social groups or anything in that nature. WE ARE GOING TO BE A BREATH OF FRESH AIR WITH NO EXTRA SOCIAL MEDIA MANAGEMENT! SPONSORS NOT NEEDED...we are SET 04-02-17! Sponsors come in all shapes and sizes....INSIDE and OUTSIDE of the "gun" community but they all have one thing in common....they are all leaders that want to help keep our neighborhoods safe. They are all people that support us and want to see successful businesses in their area. They want to be a part of something bigger than themselves and give back! The Complete Combatant is happy to host this but we need sponsors to make it happen so we offer many different sponsorship opportunity levels. CLICK HERE for details and please do not hesitate to contact me with any questions you may have. DOOR PRIZE & SWAG BAG LOOT DONATIONS NOT NEEDED...we are SET 03-20-17! We need loot for our ladies SWAG bags. This is a fun way to help! SWAG can be anything that is cool, new, needed or fun! There is no way to estimate how many guests we will have so we are asking for 50 items from each donator. If we have anything left over, we will give extra or use them for the next event. BIG SWOLLEN SWAG BAGS ROCK! CLICK HERE for details. SPONSORSHIPS can be sent via check (made out to Fusion MMA/The Complete Combatant), by phone via credit card at 678-290-0282 or via PayPal.me. Please write Women's Meet & Mingle May 2017 in the note/memo section of your check or PayPal.me. Contact Shelley Hill to give your sponsorship via phone, to get the address to send your sponsorship check and/or your donated SWAG items and/or to inquire about Women's Meet & Mingle event details. Thank you for your consideration and we hope you choose to support your community through this AWESOME EVENT for the ladies!